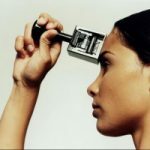 “The dominant paradigm in psychotherapy is the medical model, which views therapy as a clinical treatment rather than a healing interpersonal connection. Words like patient, diagnosis, symptoms, treatment, and modalities reflect this medically oriented view of therapy. In this book, David Elkins cogently argues that while the medical model remains widely accepted, science shows it to be inappropriate. 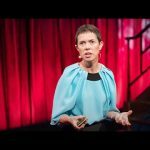 A wealth of evidence suggests that healing occurs through human connection and social interaction, not modalities and techniques. 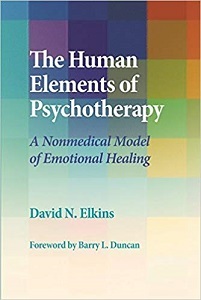 Elkins presents a nonmedical model of psychotherapy — one that places common factors, particularly human factors, at the center and moves modalities and techniques to the periphery. 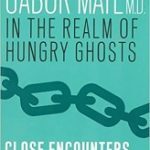 In this concise volume, he summarizes the supporting evidence from various fields, including clinical psychology, attachment theory, social relationships research, neuroscience, and evolutionary theory. You can find out more and/or order a copy from here.